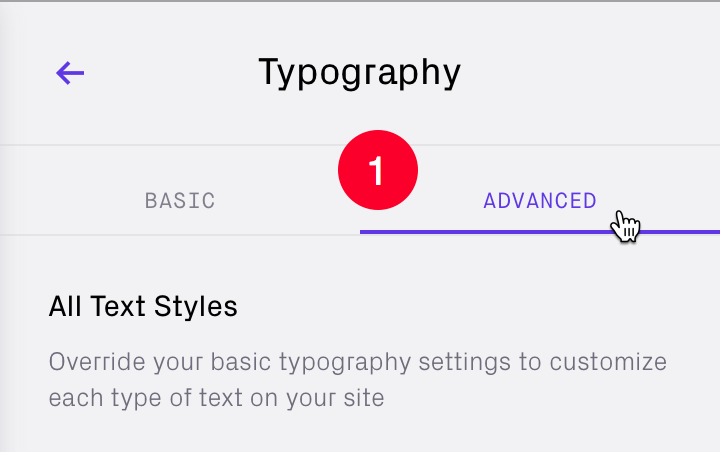 You can override your website's Key Text Styles in the BASIC panel to customize each type of text on your site with the ADVANCED panel. 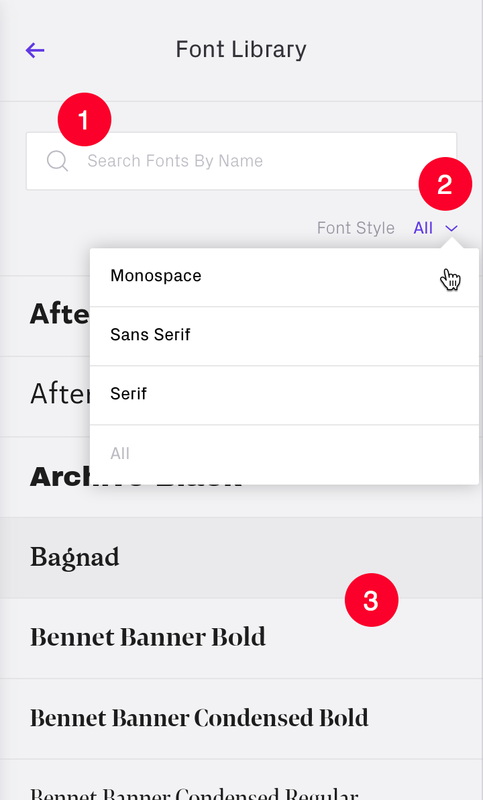 Tap the 'Typography' panel in the Design editor. Tap to activate the 'ADVANCED' panel. 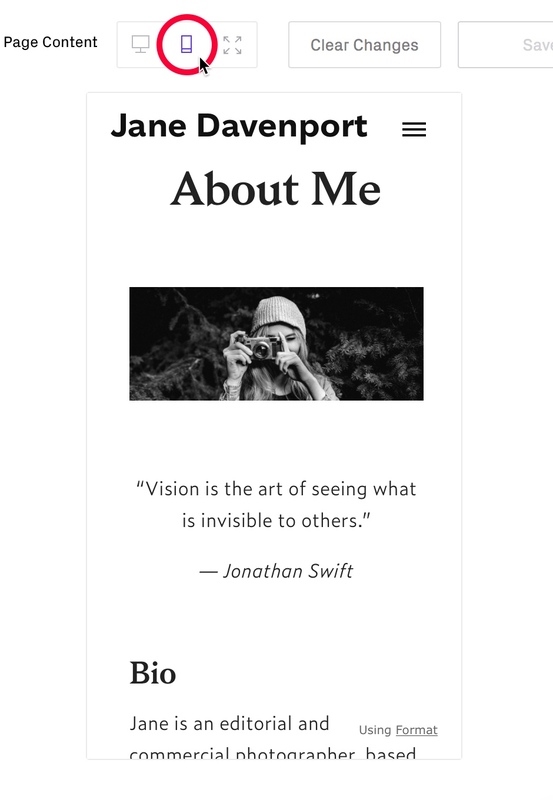 Blog: can be styled differently from all other site content. The Text Logo is styled separately. What does a particular setting change? Many of the setting options have a tool-tip that can be activated by hovering the '?'. 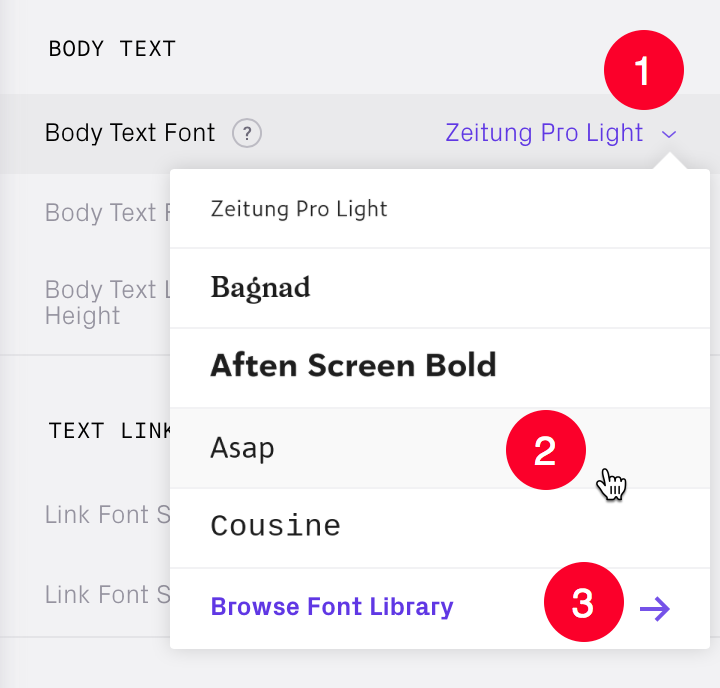 Tap to browse the full Font Library. 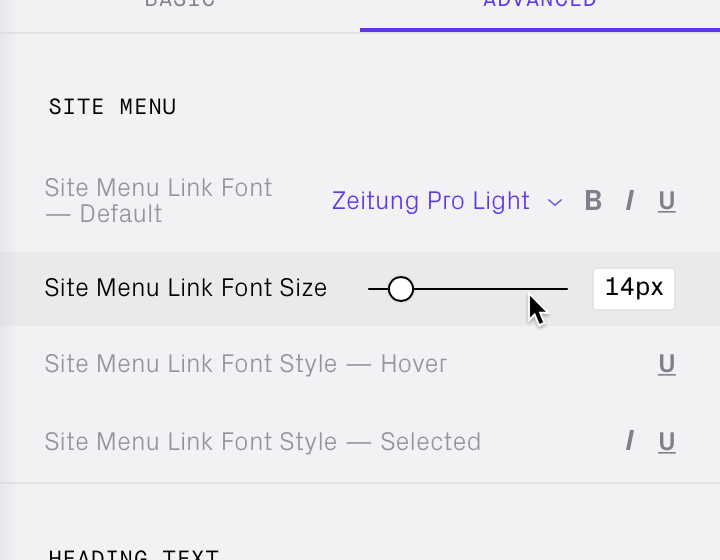 Use the slider or enter a value directly to change the font size. We are unable to include licensed fonts or use Google Fonts or Adobe® Typekit® fonts with your site as these would have to be hard-coded and require knowledge of HTML and CSS.